Overlook Lodge is also located in the Treasure Lake Resort community. The 5 bedroom Lodge sleeps 12 people and is located walking distance to Providence Beach/playground. 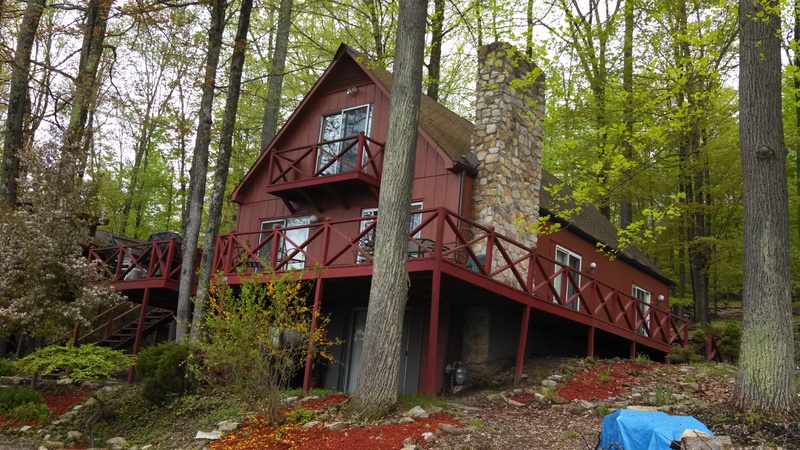 The Lodge has robust amenities and fantastic wrap-around deck. It also boasts a 2 beautiful fireplaces, large game room, and fire ring. Overlook does have wireless internet. We are conveniently located near Providence Beach. Overlook lodge and Lighthouse Chalet are next to each other.